Most of the time, our initial impressions on a supplement like Excelerol come from reading online. We want to mirror the experience of other consumers so that we can address the key issues that consumers will also feel are important. In this case, we noted that Excelerol has been ranked fairly well on other sites online. Because of this, we examined Excelerol in a positive light until we realized the sheer number on ingredients in this pill. There are around two dozen separate ingredients in Excelerol, making it one of the heftiest pills we have reviewed. The other problem is that the makers of Excelerol did not even disclose how many milligrams of each of these ingredients have been included. Despite not telling us, we are able to calculate the amounts based on the gross weight of the pill, and we can assure you that the quantities of active ingredient are quite small. This may not seem like a big problem until you realize that what you are paying for is a small amount of crushed up herbs. In our Excelerol review, we have examined all of these aspects in order to provide you with our advice. Usually we save this aspect for the end, but with Excelerol it is worth mentioning up front. At close to $100 for a one-month supply, Excelerol is the most expensive nootropic supplement we have reviewed. 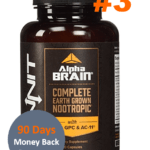 This is going to be a deal breaker for a lot of you, and it also is for us, considering how little value you derive from this supplement at that price. 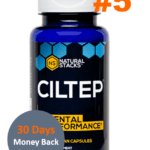 For $100, you could be getting a two-month supply of a Noopept-based supplement like Lumonol or Nitrovit (the new one) or piracetam. 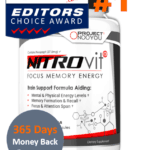 Before reading the rest of this review, it is worth noting that the makers of Excelerol cannot justify the price it charges for this supplement. However, if curiosity persists, please read on. One of the biggest drawbacks of Excelerol is the ingredient list. 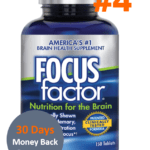 Instead of continuing research into nootropics to find the best new substances, the researchers behind the Excelerol formula have kept it unchanged for some time. Some of the ingredients include white tea, green tea, black tea, peppermint oil, basil, and guarana. These are all naturally derived substances that have little effect on the cognitive abilities of your brain. We are still unsure why anyone would pay close to $100 for ground up tea leaves. While we do understand the benefits of tea, the last time we checked, a box of Twinings of London tea (50 tea bags) cost under $10. This is more than a one-month supply of some very nice tea, so if you are after the therapeutic effects of tea, then we suggest buying tea, not Excelerol. Excelerol is made by a company named Accelerated Intelligence, which is based in either California or New England. There is scant information about the company available to the public, and Excelerol seems to secretly be enjoying its profiteering. We would like to bring your attention to the fact that Excelerol appears to be engaging in unethical practices on Amazon. Many of the reviews left for Excelerol are 5-stars. This in itself is fine, but when we researched the buyers, we found that Excelerol was the one and only review they have ever left. How convenient – a perfect review left for Excelerol and no history of any other reviews left for any other product. 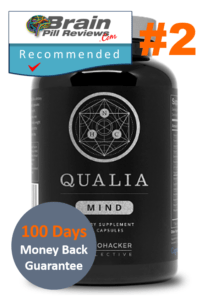 We all know that nootropics are sensitive and do not work the same way for all people. It is actually normal to see a distribution of review scores from 1 to 5. Based on these findings, we feel that Accelerated Intelligence is trying to accelerate their profits before people forget about the boring formula found in Excelerol. Excelerol may be the most expensive supplement we have reviewed. 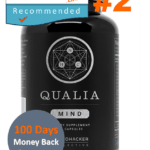 But it is nowhere close to being the best supplement we have reviewed. 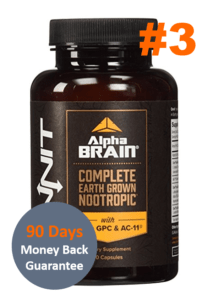 If we haven’t said it enough times already, we recommend you search for a good Noopept or piracetam supplement if you want to really experience the benefits of nootropic substances. – The pill is made from tea leaves – go have a cup of tea and save $30. In summary, Excelerol is only good because it has vitamin B and caffeine in it. Without the caffeine, we doubt it would get any positive reviews at all. 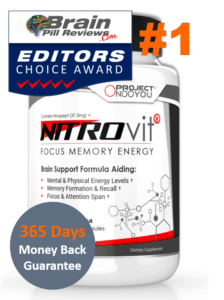 It certainly has no chemical benefits like some of the best nootropics we have reviewed.